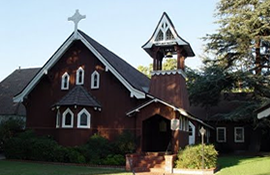 Trinity is a small, friendly church located at the corner of Second and Saratoga Streets in Fillmore, California. We gather on Sunday mornings at 9:00 to worship God, to affirm our unity in Christ, and to be renewed for ministry in the Church and in the world. Children are welcome at our services. We also provide a separate children's service and child care for younger children. Trinity is an inclusive Christian community, and we welcome all visitors and newcomers to worship with us at any of our services. Whether you are simply visiting or looking for a church home, you are welcome here. We are pleased to offer the Catechesis of the Good Shepherd as part of our Christian education program. Please contact the church office for details. If you are interested in becoming a member of Trinity, please speak with one of the clergy. If you have special needs such as baptism, confirmation, or marriage—or if you simply wish to consult a priest—please do not hesitate to contact one of our clergy! The Episcopal Church began in 1789 after the War of Independence as the American version of the Church of England. We are the American member of the world-wide Anglican Communion and along with other Anglican churches around the world share a tradition that is characterized by a commitment to common prayer over common belief. At its best, that commitment creates a community of faith that celebrates diversity and is equipped to live with the tension of differing opinions. May the Peace of Christ be always with you! 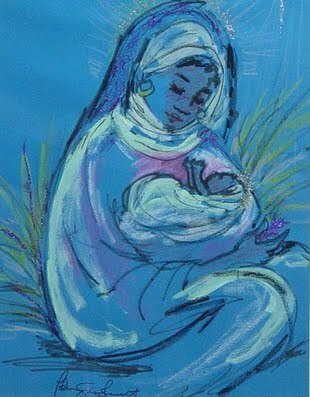 by former rector Patricia Bennett. Please click on Calendar in the main menu to see our detailed schedule. Whoever you are and wherever you find yourself in your journey of faith, you are welcome at Trinity Church, an open and affirming congregation.